This is the third Hasegawa Egg Plane I've built, and Twobobs is certainly right in their decal description. Everyone probably has one of these in their stash, and finally someone has come out with interesting aftermarket markings for the Lawn Dart. They also describe the kit as whimsical (yep) and one to be built just for the fun of it, as no one has a good photo of the original aircraft. 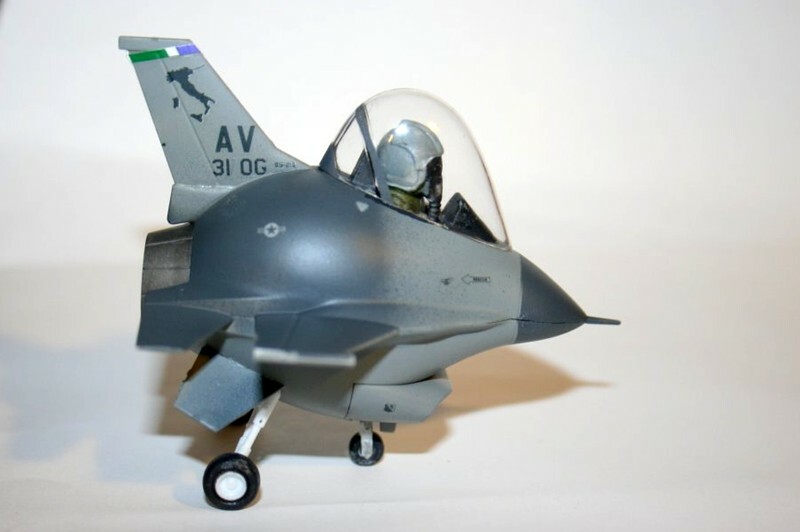 I built the Hasegawa F-16 Egg plane for a review. 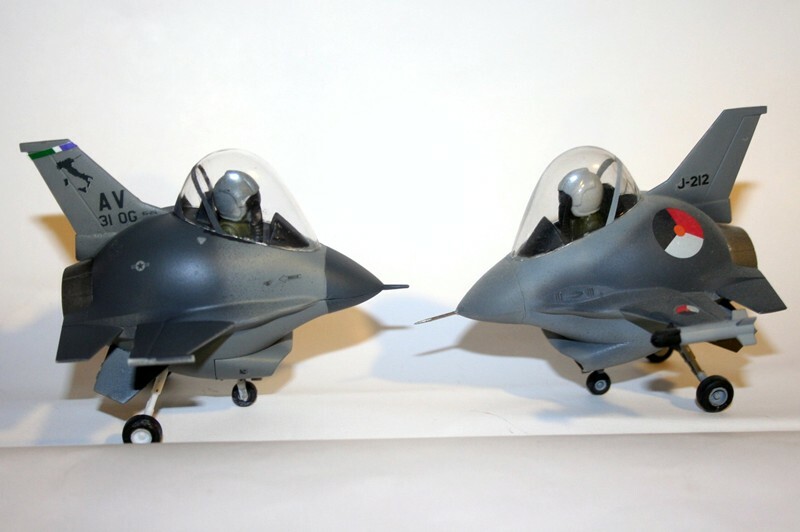 I built the RNethAF F-16 for that review because I worked with them in Italy. So the markings I chose for this review were one of Aviano's Falcons. This was probably not the most interesting choice, as there are so many good sets of markings on the sheet. The instruction sheet is 4 pages long, so here are half of them. The kit is really simple, so after a quick paint job and a coat of Future, it's ready to decal. The decals are high quality, go on well, and stand up well to handling. I folded one of the 31 OG decals twice getting it off the paper, and it still went on and stayed where I put it. I now notice that it would have been nicer if I had put it on a little straighter. Another coat of Future, some Acrylic flat, and it's done. If you don't already have a Falcon Egg in your stash, and you want to do these decals, rush out and get one (or more) soon. I looked for one at the Omaha Nationals, and none of the vendors had any. 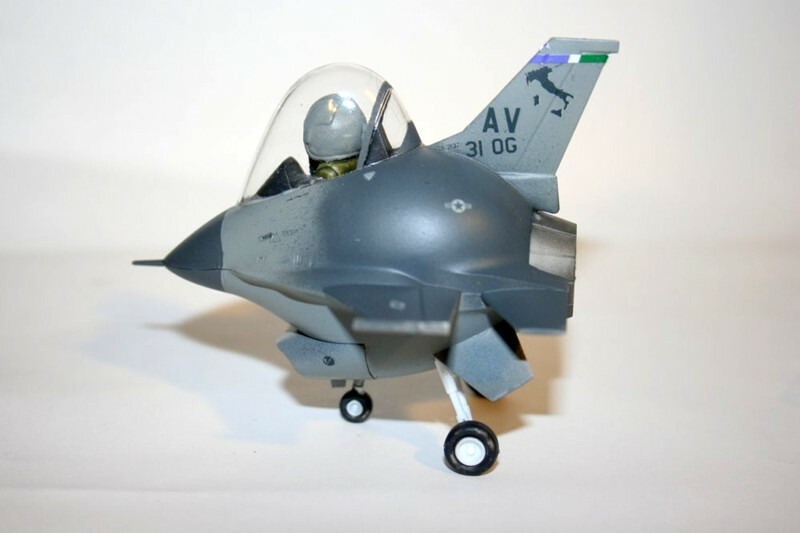 Fortunately one of the fine local hobby shops had the Thunderbirds F-16 Egg in stock. The decals are interesting, and you can do three different eggs from the sheet. The limit is "star and bar" markings, with two gray and one red/white/blue set. If you can find some of these on a 1/144 sheet, you can really build a bunch of interesting Falcon Eggs.